Join us for an evening of prayer with a message by Dr. Tom Elliff via Skype. Open to all faculty, staff, and students. Presented by the The Center for Spiritual Formation in partnership with the Center for Great Commission Studies. 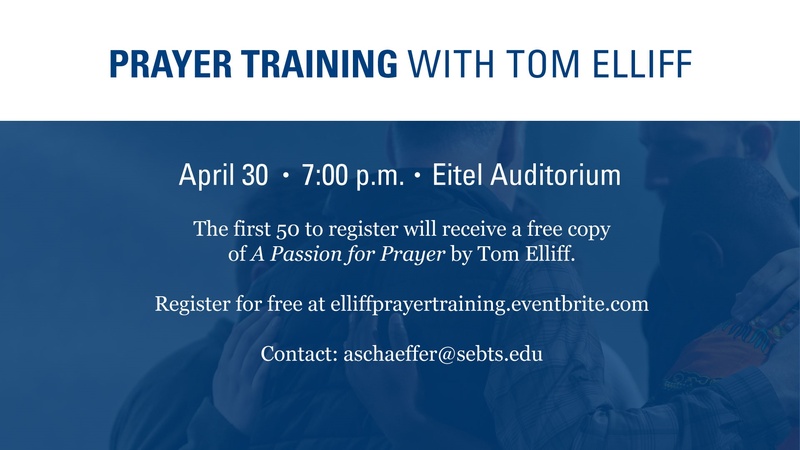 *The first 50 to RSVP will receive a free copy of A Passion for Prayer by Tom Elliff at the event! This event is free; RSVP HERE!